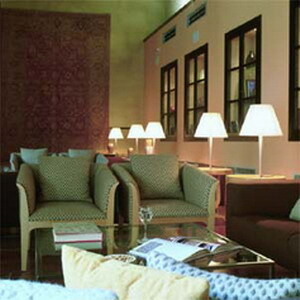 A restored 14th century Moresque house and convent located in the historical centre of Granada, the AC Palacio Santa Paula is 1 kilometre from the Alhambra. 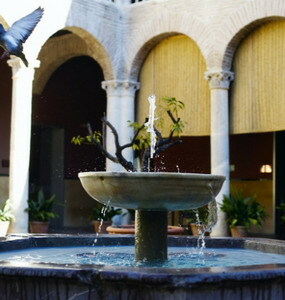 After sampling the home made pastries at the extensive buffet breakfast, guests can enjoy a relaxing morning browsing through the complimentary newspapers outside on the hotel's palatial courtyard terrace amidst the Moresque arches and pillars of the restored convent. Or guests could have breakfast delivered to their room and take advantage of the services of the floor butler and 24 hour room service. 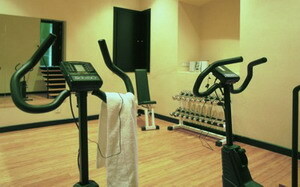 More active guests can work out in the hotel fitness centre and afterwards enjoy relaxing in the sauna and Hammam. Guests can plan sightseeing itineries using the wireless internet (surcharge) and enjoy complimentary refreshments all day in the coffee shop. 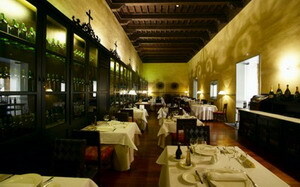 Dining can be enjoyed in "The Cloister" restaurant housed in the old convent library. 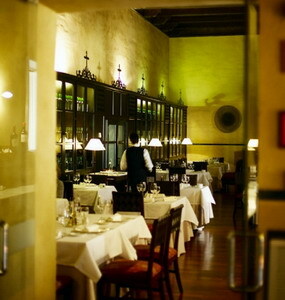 Serving a fusion of Andalusian and modern international cuisine, specialities include Choto Al Aiillo and mango raviolis. 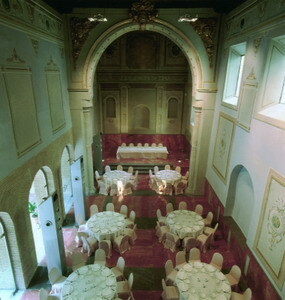 The hotel concierge can arrange organised daily tours to the Alhambra and to the Zambras, the old caves, where Flamenco shows are performed. Business guests can enjoy access to meeting rooms with capacity for up to 198 people, fully equipped with modern audio-visual equipment, multiple high-speed internet connection and business facilities including computer rental, fax machine, secretaries and translation services. Practical amenities include onsite valet parking and a 24-hour laundry service. 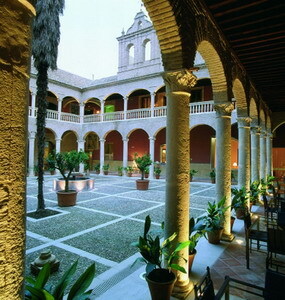 Many of Granada's attractions are within 500 metres of the hotel. 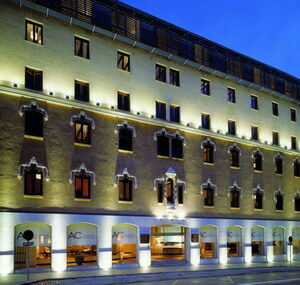 This 5 floor hotel features 75 air-conditioned guestrooms stylishly decorated with high ceilings and wooden floors. 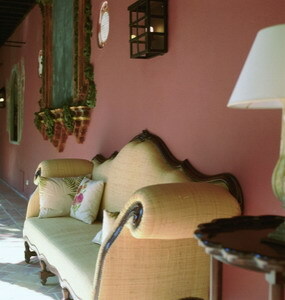 Some rooms are housed in the new part of the building and feature modern furniture and stylish minimalist decor. The rooms in the Moresque part of the property have original period features, antique furnishings, oak ceilings and four poster beds. All include bathrobes, slippers, complimentary designer toiletries and grooming amenities, free minibar, cable television, high-speed wireless internet connection and air conditioning.